Those by kids from kids' publications come first. Scroll down for reviews from adults. Imagine going home after a fun day of play, and finding out you are moving to England for six months. First, you are excited. After all, who wouldn't want to go to a foreign country? Then, you suddenly realize that you will have to leave all your friends and familiar places. This is exactly what happened to Libby Koponen. 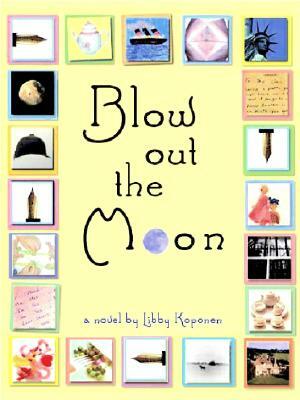 BLOW OUT THE MOON is an autobiography by Libby Koponen. In BLOW OUT THE MOON this book, she recalls the years of her life when she lived in England. At first, Libby is very excited about going to England, but when she actually arrives, she is very disappointed. Libby longs to be in America, and counts down every dayuntil the six months have gone by. Unfortunately, Libby and her family have to stay in England for another year. Libby is miserable, until her father discovers Sibton Park, a boarding school in the English countryside. Libby leaves shortly after,to haveone of the best years of her life.Libby learns how to be a proper, young woman, and changes greatly at Sibton Park.She is no longer the little tomboy she used to be. BLOW OUT THE MOON shows that change can be good, and it explains that freedom is not just a word;it is being able to think and feel how you want to. Another cool thing about it is Libby Koponen puts in some real pictures of some of the places she visited in England, and pictures of real people at Sibton Park. It is a great book for preteen (10-15 years old) girls. I highly recommend it. This tale of a young girl's voyage to England and the total difference in life styles is fascinating. Libby doesn't want to move to England, she wants to stay with her friends, especially with Henry. Libby is fascinated by the long boat ride, but when she reaches England Libby isn't happy. She longs for the sunshine and her American life. The people at school aren't nice and Libby wants to leave, until she finds Sibton Park, an English boarding school for girls, and one boy. It offers horseback riding lessons, and to Libby's horror, table manners. Libby's joyous times at Sibton Park make you laugh out loud and her funny point of view is great. Sibton Park comes alive as you read this interesting, funny story of Libby Koponen's childhood - (JUNE release, high 3rd to low 7th grade). This book was about a girl named Libby who grows up in the USA with her friends and family. When she is about 8 her dad gets a new job in London. So he and her family move there. Libby goes to a school with her 3 siblings. The kids there pick on her so she decides to try and find a boarding school. She did. At her boarding school her room mates are very nice to her. They all get along and have fun together. For example, one night they stayed up until midnight and had a tea party. You have to read the book to find out if Libby decides to stay in London or move back! This book was awesome! It never got boring! I never wanted to put it down. It was very interesting, and I would rate it a perfect 10!! This author's first book is based on the story of her own life. It is about how Libby leaves America and has to move to London for a year because her dad got a job there. Libby hates everything about London, especially school. Her mother notices that Libby is unhappy and suggests that she go to boarding school in the country. I thought that was weird because she was only eight years old. Boarding school wasn't so great for Libby at first. She didn't know anybody at the start and the other kids teased her about her American accent. Libby, however, came to love boarding school. She learns to ride horses, makes lots of new friends, and explores her desire to become an author. This book is interesting because you learn about what it was like to be an American going to an English school. What makes it fun is that the things in the book really happened to the author. She didn't just look stuff up in books and make it into a story but Koponen actually experienced the events that take place. Another fun thing about the book is that it is illustrated with photos and letters from the author's own childhood and time in boarding school. Blow Out the Moon is a funny and enjoyable light read. I would suggest it for girls aged nine and ten. - Nina, Trinity School (age 10, grade 4). Read an article about Libby in the Boston Globe. Blow Out the Moon is now on Kindle and itunes. Both the hardcover and paperback are still on Amazon and Barnes and Noble. If you see the book in a bookstore withonly its spine showing, please turn it face out so people can see the cover: thanks! Top 100 Titles for Reading & Sharing. "The new novel BLOW OUT THE MOON by Libby Koponen (which I think was mentioned here several months ago--the reason I picked it up) is definitely a story of transition, and transformation. I loved the heroine's voice, one of the truest child-centered voices I've read in a long time. Libby (the novel is autobiographical) is an American tomboy whose family moves to England for a year. She is an adventurous sort, but encounters a wall of grey English indifference until she goes away to boarding school, where the adventure really begins. There are also great scenes that depict a child's viewpoint on cultural differences. A great read! Set in England in the 1950s, this endearing tale is a wonderful mixture of memoir and fiction. Libby, the main character, is forced to move for a time with her family to England. While she enjoys some aspects of this new venue, life is not quite as easy as it had been in America. Libby is not popular with her classmates nor her teachers (who make fun of her accent, her ideas, and her bangs). Things get better, however, when she is sent to a boarding school in the countryside. At the boarding school-Sibton Park-she makes friends, is trained how to ride a horse, and learns how to speak, eat, and behave as a proper lady might. One simply does not, for example, comment on the food one is served. And to her credit Libby does not, even though "the English idea of spaghetti" is a plate of "plain spaghetti.and a small pitcher of completely smooth, very runny ketchup to pour on top." The descriptions of time and place are wonderfully vivid. Readers will slip slowly into Libby's world without realizing it. Soon the words on the page disappear and you are there with her, in the garden, sitting under an old oak, the sun making "little wavering patches of light and shadows on the lawn;" the grass warm to the touch. At story's end Libby and her family move back to America. There, she realizes she is not the same person as when she left. Back in her old school, she glances at the tall windows that went almost to the ceiling. "I'd never liked how much sky you could see (it was too blank)," Libby writes. But now, she realizes, she did enjoy the "bright blank blue sky." It was "filled with light and wide open to everything. I felt that way, too; and bursting with energy." The text is interspersed with sidebars, black and white photographs, and illustrations which help readers picture the scenes and visualize unfamiliar items-such as Wellington boots and lemon curd. The story is deftly written. It never lapses into sentimentality nor does it ever veer from the child's-eye view. Libby's voice shines through-honest and authentic. At heart this is a moving portrait of growing up, formative moments, and lessons learned. Highly recommended. A step back in time, this book reads much like a journal, is found in the fiction section and is based upon the author's experience as an eight year old. Set in the 1950's, young Libby's family must move from the United States to England for a year and a half due to her father's employment. Saddened to have left her friends and after a less than stellar experience at their local London school, Libby spends the remainder of her time in England on the 88 acre estate of boarding school Sibton Park. Her experiences before, during and after this period of her life are documented in a fictionalized fashion that is entirely refreshing! Pictures of things and people (family members, schoolgirls wearing uniforms from the period, coins, table settings, the school, letters, stories and letters the author wrote, games such as cats cradle and jacks) are dispersed amply throughout the book. 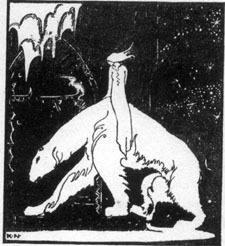 These black and white representations pleasantly augment the recantation of her story, as do gray fact boxes that are found sporadically, discussing seemingly unfamiliar topics such as Guy Fawkes Day, prefects and song lyrics. An obscure note on the back cover mentions a companion Web site; a delightful compilation of the first six chapters of the book, color pictures, related fairy tales and the like. This is the author's first published book and she invites comments. She lives and writes in Boston. Recommended. 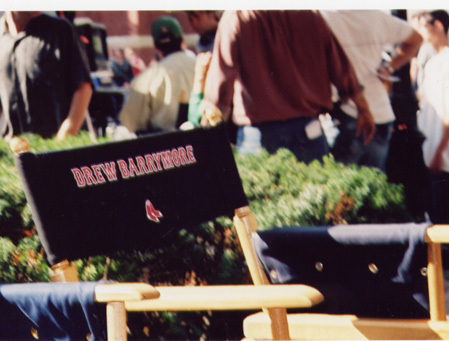 2004, Little Brown and Company, Ages 8 to 12. Gr 3-6-In this novel based on the author's childhood in the 1950s, Libby, an engaging and feisty girl, moves from New York to London with her parents and three younger siblings. Her first school in London is a less-than-positive experience-the children tease her, and even the teacher is unkind. But things look up when she is sent to Sibton Park, a boarding school in the countryside, where everyone is nicer. Koponen is a gifted writer whose distinctive style has a conversational rhythm from frequent use of colons, dashes, and the like. She is especially good at describing what to modern children will seem like a very different time, with adults thoroughly in charge and children expected to sit quietly while the grown-ups talk. The author is very good at a kind of straightforward subtlety, an asset in a quiet book whose main focus is on emotions. 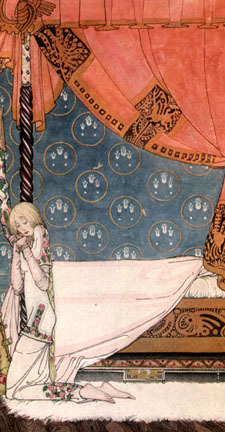 The book's visuals are another asset, with small photos placed throughout, showing the author's childhood letters, pictures from her favorite fairy tales, the ship her family sailed on to England, and more. As a novel, the story lacks dramatic tension, especially after Libby leaves her first English school, but overall this is a thoughtful and interesting book. -Lauralyn Persson, Wilmette Public Library, IL Copyright 2004 Reed Business Information. 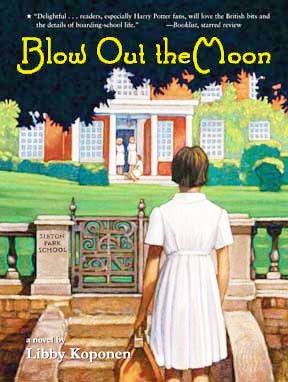 Libby Koponen recounts her recollections of an English boarding school in her debut novel, Blow Out the Moon (Little, Brown, 209 pp., $16.95, ages 8-10). Young Libby, an all-American girl, is eager to accompany her family on a special trip to London for six months. Yet school turns out to be miserable when the other kids tease her mercilessly for being a Yank. Then Libby learns their stay will be extended another year, and she bursts into tears. Fortunately, her parents decide to send her to a boarding school, one with horses, run by a sensitive, albeit disciplined, head mistress. In time, she discovers the English aren't so bad after all. Koponen's tightly written prose is spiced with humor. With all their differences, these three novels for girls at slightly different age levels are all equally irresistible. On a much lighter note, "Blow Out the Moon" ($16.95, Little, Brown and Company) by Libby Koponen is also set in London, but a very different London. Described by the publisher as a coming-of-age story, it deals with a preteen American girl's experiences at a British boarding school, which most readers will undoubtedly find strange and unusual, but riveting. Many of the girl's adventures (learning to ride a horse "English style," eating with a knife and fork properly, and staging a midnight feast of "lemon squash" and bread and butter) read like every kid's fantasy. But it's not quite all fun. Early on, she has to deal with cliques, and one periodic problem won't go away: She can't bring herself to sing "God Save the Queen." But finally that gets played for laughs, and the whole thing ends on a not-surprisingly joyous note. All of these books offer girls out-of-the way fare. In a world that sometimes seems ordinary, that's definitely a plus that will pay dividends for each reader. 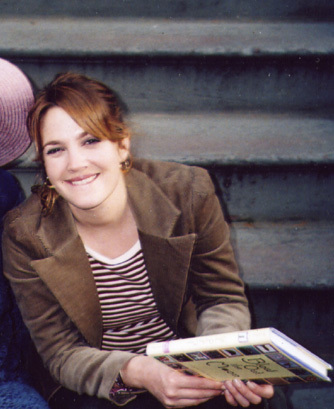 Drew Barrymore was nice enough to pose with Blow Out the Moon. is on my Web site. Find out about Libby's visit to schools. To anyone who went to Sibton Park: The publisher asked me to take the rest of the chapters down -- but I will be happy to email the Sibton Park chapters to you if you would like to see them. 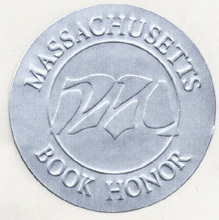 There and Back Again (memoir), Blow Out the Moon (novel), and ifyoulovetoread.com copyright © 1999, 2000, 2001 Libby Koponen. All rights reserved. No part of this work may be reproduced in any form or by any electronic or mechanical means including information storage and retrieval systems without permission in writing from the author.